Post: Whatever the Job Requires! As is often the case in the restoration business, you never really know everything a job will entail until you get started. 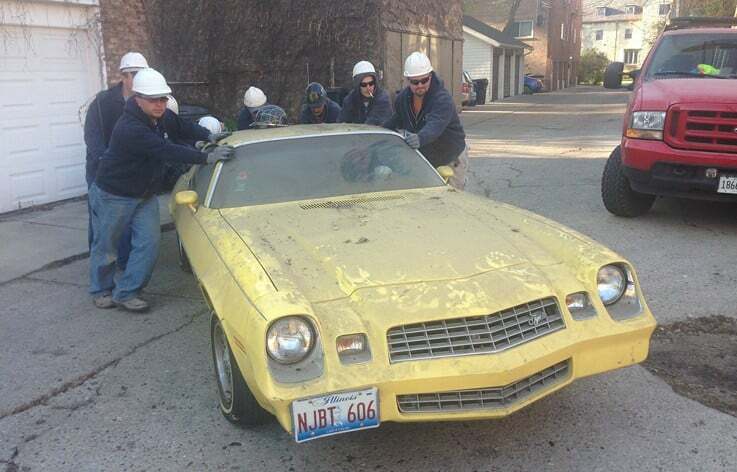 Fortunately, many hands make light work, and our 8 pushers and 1 driver were able to make the necessary 5-point turn in the alley and get the car situated on a grassy spot a few yards away.